Calling all taco enthusiasts! 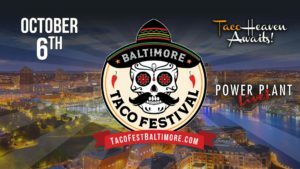 Taco heaven will be returning to Power Plant Live! on Saturday, October 6 from 1 p.m. – 7 p.m., steps away from the 1840s Carrollton Inn. This two day feast will be filled with delicious tacos, margaritas, and endless amounts of tequila. 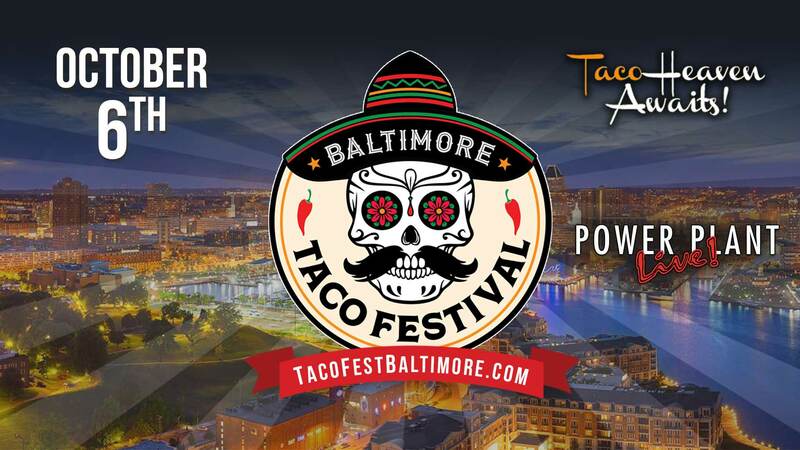 At this event, you can expect to see over 25 of Baltimore’s best taco vendors, along with their delicious toppings. If you love to taste new foods, then this will be the perfect event for you to attend! Not only will you be surrounded by tacos, but there will be tequila and nachos too! Enjoy samplings of tequila from all around the world, and a gourmet nacho bar. The taco experts will be creating their masterpieces around the flavors of tequila. If spice doesn’t affect your taste buds either, then consider entering the chili pepper eating contest. This competition is sure to rock your taste buds! Once you are done eating your way through the Baltimore Taco Fest, you can walk across the street to the 1840s Carrollton Inn for a relaxing overnight stay. Make a reservation in one of our 13 rooms and suites, and treat yourself to our fabulous, made-to-order breakfast for two that is included in your stay. We hope to see you soon at the 1840s Carrollton Inn! Follow the link below to secure your spot at the Taco Fest!